Communication: it’s always a good idea to communicate with your lender if you’re having financial challenges. Get in touch before you start missing payments and ask if anything can be done. If you start missing payments, don’t ignore communication from your lender – you’ll receive important notices telling you where you are in the process and what rights and options you still have. Speak with a local real estate attorney or HUD housing counselor to understand what’s going on. Scams: because you’re in a desperate situation, you’re a target for con artists. Be wary of any unsolicited offers to help you avoid foreclosure, and choose carefully who helps you. Start seeking help from HUD counseling agencies and other reputable local agencies. 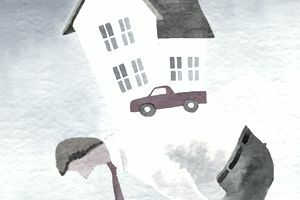 Know the signs of foreclosure rescue scams.